Online marketing is a challenge. You and I have a lot to deal with a lot, and we have a lot to keep track of – competition, technological advancements, industry trends and so on. One constant in the world of online marketing is change. But despite all of this change, people today have many of the same fears, worries and desires they had 70-80 years ago. Today, just like then, your customers have problems they want you to help them solve. They make buying decisions based on emotional factors, to one degree or another. And they often take into account what their friends and “the crowd” tells them is popular, good and worth paying attention to. Wanting the approval of others, your customers tend to care deeply what “they” think. They believe that other people know things about a product they don't. So they make buying decisions largely based on social proof. They are far more heavily influenced by what others say about your product than what you say about your product. According to one study, in a hotel conservation campaign, towel reuse rose 33% when cards stating “75% of customers who stayed in this room reuse their towels” were place in rooms. And restaurants boosted their sales of specific menu choices by as much as 20% by referring to them as “most popular”. We've all seen, or at least heard about stories of shoppers waiting in long lines or even camping out for days on end just to be among the first to buy a new version of the latest smartphone. There's a good chance we've thought to ourselves that the new phone must be great if a huge crowd is willing to wait outside a store for days just for the chance to be one of the first to buy one. In our modern digital culture, we are bombarded with advertising and marketing messages. 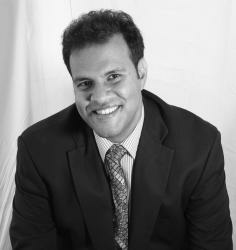 It's becoming harder and harder to break through the “wall of noise” our potential customers are bombarded with daily. Understanding how to harness the power of social proof in marketing can help you do just that. So don't complain about how so many people defer to the opinions of others when they are making a buying decision. Don't call social proof “unfair”. No! Leverage the power of social proof, and use it in your online marketing. Today we will talk about some ways you can do that. Your potential customers are far more likely to believe what your happy (or unhappy) customers say about your product than they are to believe what you say about it. So use customer testimonials in your marketing. They are a powerful social proof tool for your online marketing success...If they are done right! Wouldn't you agree that the second testimonial is far more credible and persuasive than the first? Notice how it contains specific details – a full name, job title, company name, etc. Also, and this is important, it demonstrates a specific benefit (and implies that the reader can expect the same), and it has a specific figure – 22.7%. When you are requesting testimonials from your customers, ask for this kind of detail. If you are having trouble getting testimonials from your customers, here's a tip to help you and make the process easier for your customer: Offer to write the testimonial for them. Send it to them, ask if they agree with it, and ask if you can post it. If they agree, post it on your website and other online and offline marketing materials. And when you put testimonials on your website, don't bury them deep in your site where few readers will find them. Display them prominently on your homepage! Testimonials can be very powerful, but not if they are hidden. Here's a way you can make your powerful testimonials even stronger and more interesting: record your customers speaking on video. People respond to social proof and act on it. Also, they often act based on the recommendation of a celebrity or someone they perceive to be an authority figure. Granted, you might not be able to get an endorsement from a famous Hollywood actor like George Clooney. But you very well may be able to get one from a minor celebrity, or a local celebrity like a TV news reporter. You can get a “celebrity” endorsement from an authority figure in your niche. Let's say you are an online marketer selling a physical fitness information product. You could offer a free copy of your program to the owner of a popular fitness blog and ask his honest opinion. If he likes it and gives you a heart-felt recommendation, tell the world! If you own a restaurant or other brick and mortar local retail business, invite the restaurant critic from your area newspaper or lifestyle magazine to come be your guest free of charge with the only condition being that he write an unbiased review of your place. If the review is positive, you have your celebrity endorsement! As you are building up your social proof, of course you want people to say nice things about you and your product. But don't try to be “all things to all people”. Focus on pleasing your core audience. Approach them with copywriting and content that will get their attention and resonate with them. Get them in your funnel. Try to convert them. Make repeat sales to those you do convert. Focus on your core audience, and don't worry about winning over anyone else. Let's say you run a blog that caters to barbecue aficionados. Your core audience is meat eaters, plain and simple. You've automatically excluded vegetarians. Some aren't going to like your message. Don't worry about it. When it comes to opinions on barbecue and steak, meat eaters don't value the opinions of vegetarians. “Social proof” coming from a vegetarian won't mean anything to them. They care about the opinions of other barbecue enthusiasts. Social proof is like a snowball. Once you get the momentum going and the “ball rolling”, it can get going Big Time! The stronger the social proof you build, the more trust your potential customers have, and the more you convert! But even though you have the social proof snowball rolling downhill, you still need a critical piece of the conversion puzzle in place. You guessed it – landing pages. You can leverage the power of social proof to the hilt and build up all kinds of momentum en route to a conversion and then blow it by not having a landing page that's “dialed in”, or even worse, not having a landing page at all. 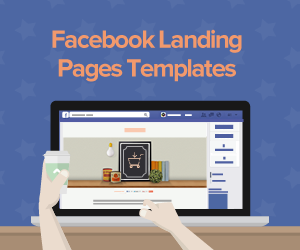 For maximum online marketing success, you need landing pages. Landing pages that rock! You want your landing pages to be powered by persuasive copywriting, solid, conversion-friendly design and a very compelling offer. 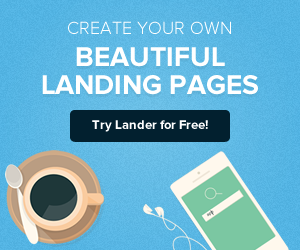 And you want Lander, the very best landing page platform available. 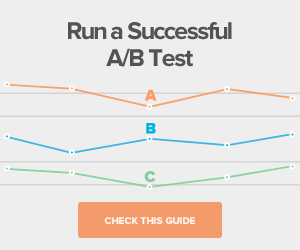 Advanced A/B testing capability – helps you refine and optimize your online marketing approach for greater and greater results! 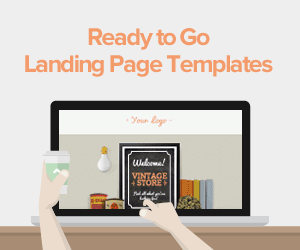 Easy to Use Editor -- makes it super easy to design your own landing pages. Prominent, colorful call-to-action buttons – helps you focus your potential customer's attention on what you most want him to do – convert!